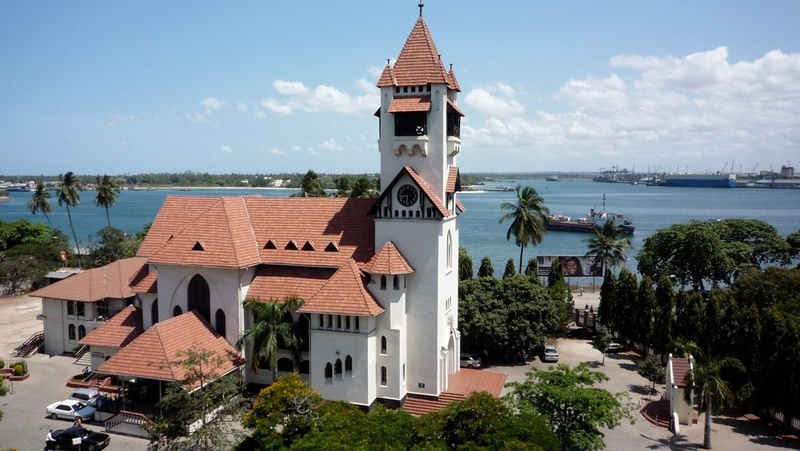 A vibrant city famed for being the professed “commercial capital of Tanzania”, Dar es Salaam is home to fascinating attractions and plenty of things to do. Although the city is not the national capital of Tanzania, it’s the largest city in the country. The city has a lively cultural scene, and it’s steeped in a mesmerizing history and heritage. 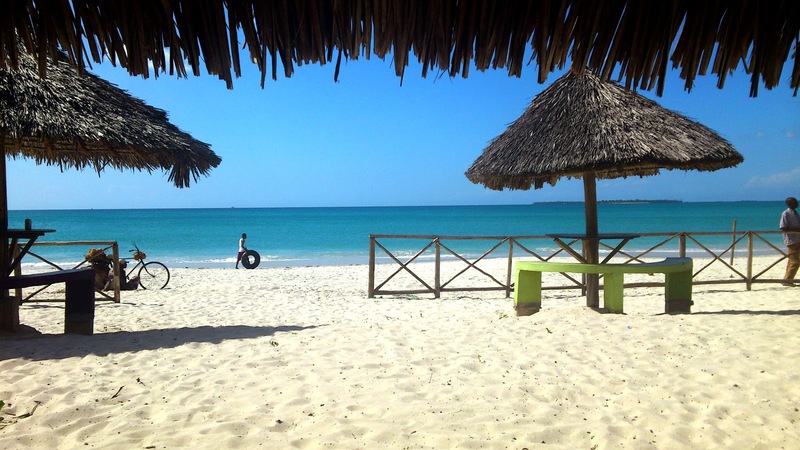 If you’re looking for a city break packed with fun activities, Dar es Salaam has it all. 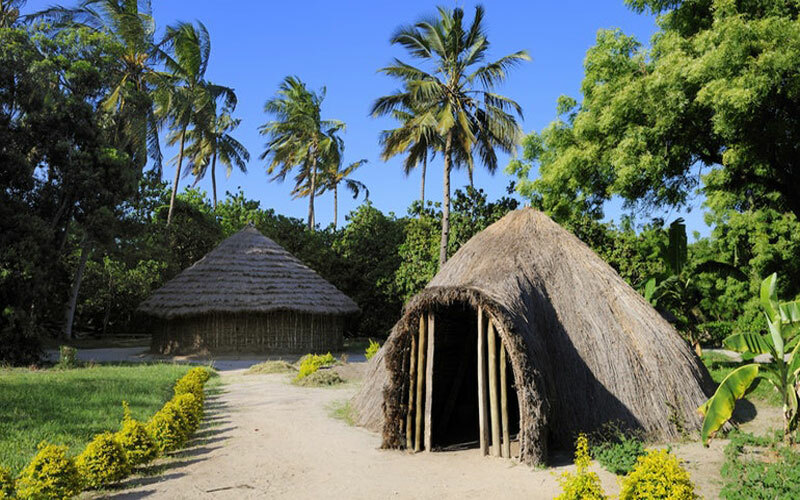 Dar es Salaam prides itself in rich heritages and no place showcases this like the Makumbusho Village Museum. Situated 9km east of the city center, this primeval attraction is an authentically built representation of typical traditional life in most of Tanzania. It is an open-air museum featuring a pristine collection of local crafts and traditional dance. 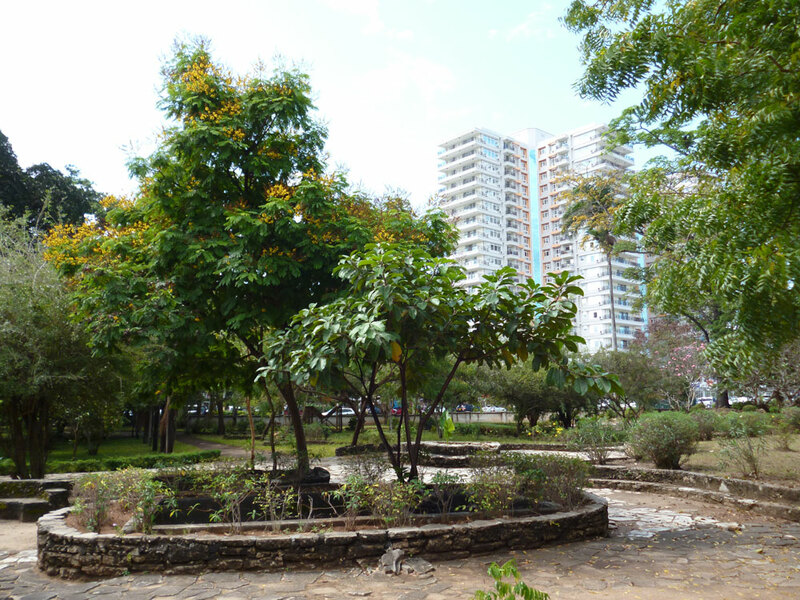 Established in 1893, the botanical garden is an exhibition of the flora native to Tanzania. It houses the horticultural society of Tanzania and receives thousands of visitors annually. It is a favorite for nature lovers with a wide range of plants as blue jacaranda, scarlet flame tree, and red hibiscus. It’s also home to various species of palm and Cycads, this tranquil retreat will connect you to the natural world. Dar es Salaam won’t let you down when it comes to a vibrant nightlife. The city features hundreds of nightclubs, bars, and music venues vying for attention. 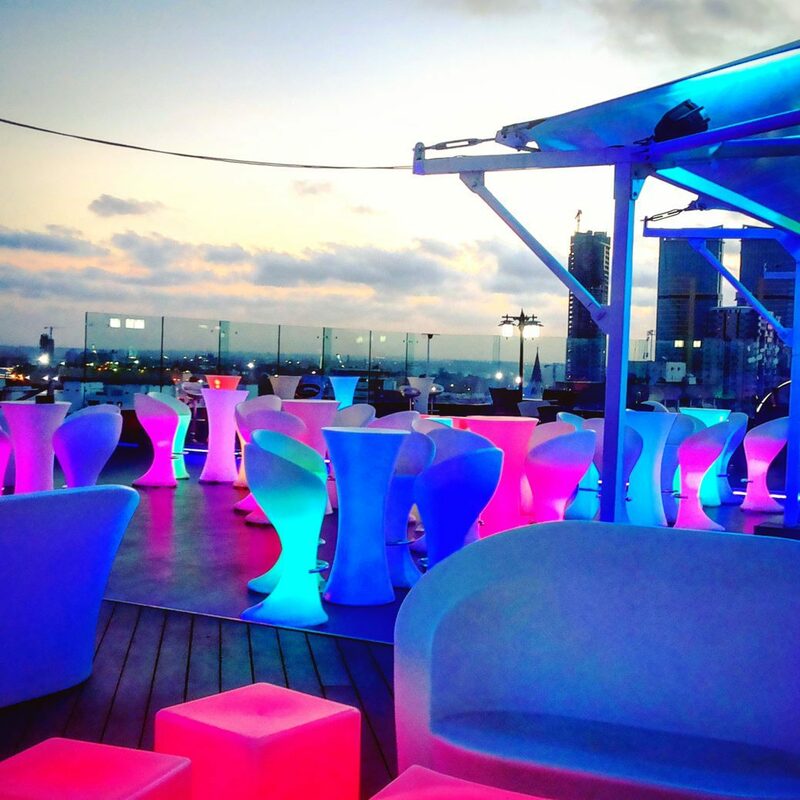 One of the top nightlife spots to visit when in the city is High Spirit Lounge Bar. It’s situated on the 11th floor of the IT Plaza in the heart of the city. The bar features a dance floor with disco lights – a place to enjoy a mix of African and Western music to make you dance the night away. The rooftop bar evokes the senses of sound, sight, and taste with stunning views of the city. The lounge bar is an outstanding chill-out spot for romantic breaks, night parties, and events. Guests can enjoy the delicious Mediterranean cuisine and a wide range of beers and wine. Apart from High Spirit Lounge Bar, you can visit Savannah Lounge & Bar in JB Belmont Hotel, Q Bar on Msasani Peninsula, Club Bilicanas – the city’s most popular nightclub, New Maisha Club, The Snow Leopard and The Waterfront Sunset Restaurant & Beach Bar located at the Slipway. Dar es Salaam has a lively and diverse music scene, which offers rich cultural experiences. Nafasi Art Space is one of the popular cultural institutions dedicated to different styles of music in the city. The contemporary art center offers visual and performing contemporary art including live music and dance. Nafasi Art Space features a vibrant music event called Wikiendi Live! The event showcases the traditional African beat and fusion, featuring artists from around the country and Zanzibar. 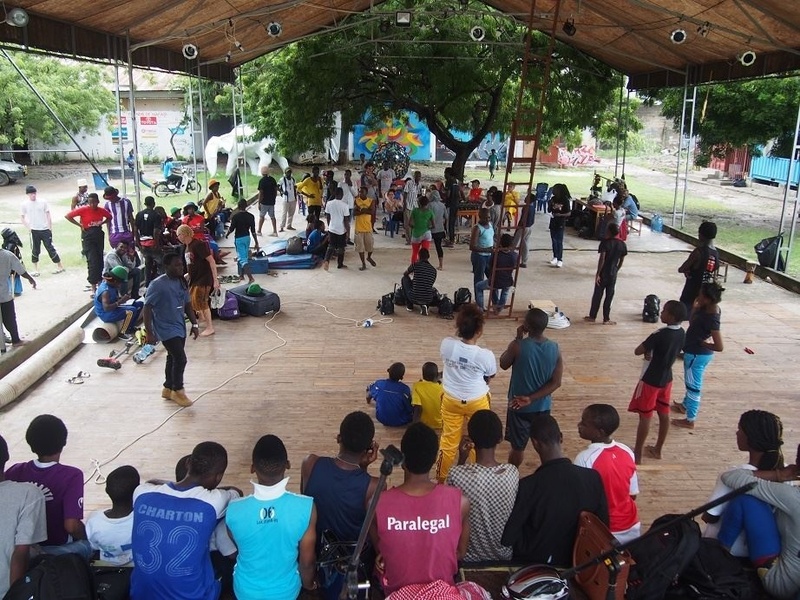 You can also visit other cultural institutions such as The Beat Festival, Dar Live, the Goethe Institut, House of Culture and Alliance Francaise. The House of Culture is situated in the National Museum and it’s a great venue for contemporary music and art. ‍Dazzling turquoise-blue waters all around, stunning white beaches and tasty green palms are the mesmerizing features of this island. The sights and sounds are alluring and the calm serenity makes it a must-visit for any both visitors and locals. 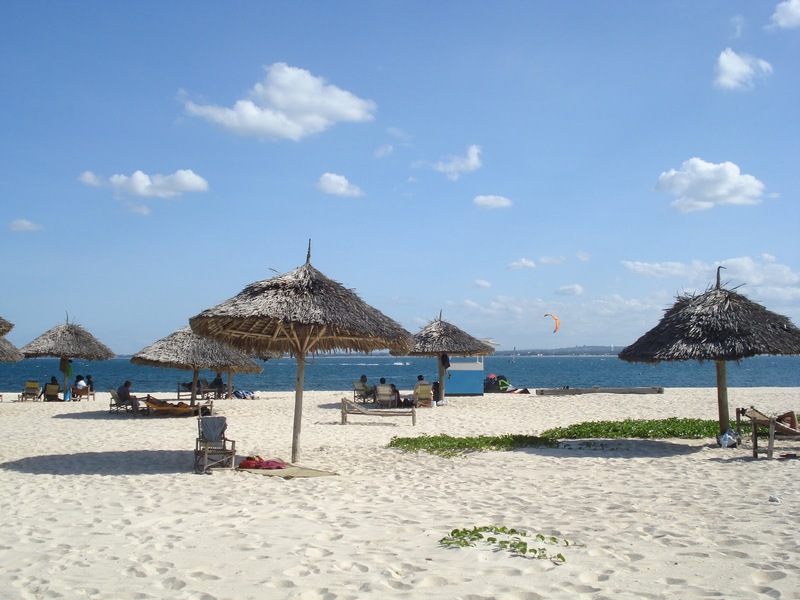 Mbudya is located north of the city center and one of the four islands of the Dar Es Salaam Marine Reserves. It is uninhabited making for an unspoiled delight. 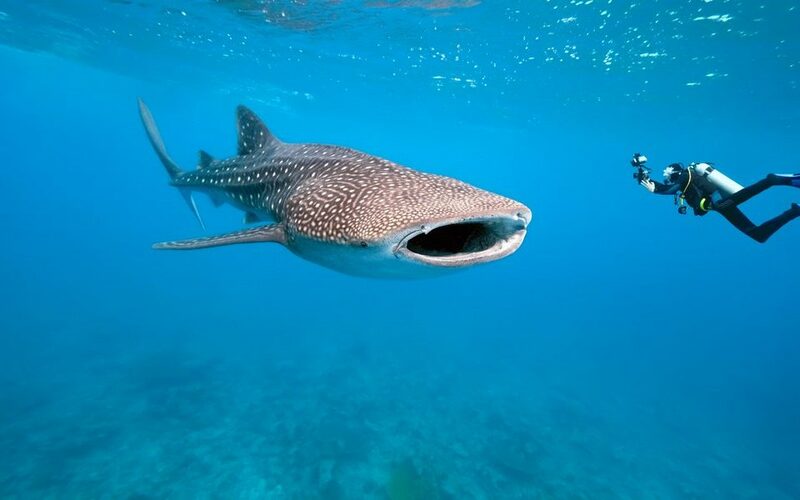 It offers an array of water activities such as snorkeling, hiking, and sunbathing. The best part of it is that the island is just about 20-minute motorboat ride away from the city. ‍Experience Coco beach at the break of the day and catch the morning ocean waves. 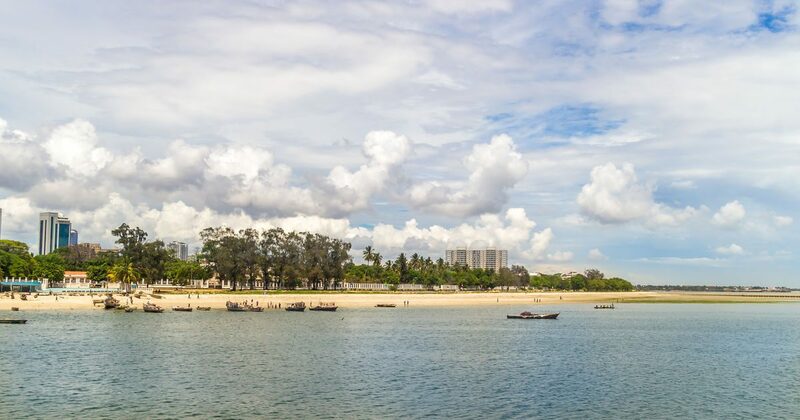 Take a walk along the coastal path, indulge in some water activities and relax with a drink at the food stalls. 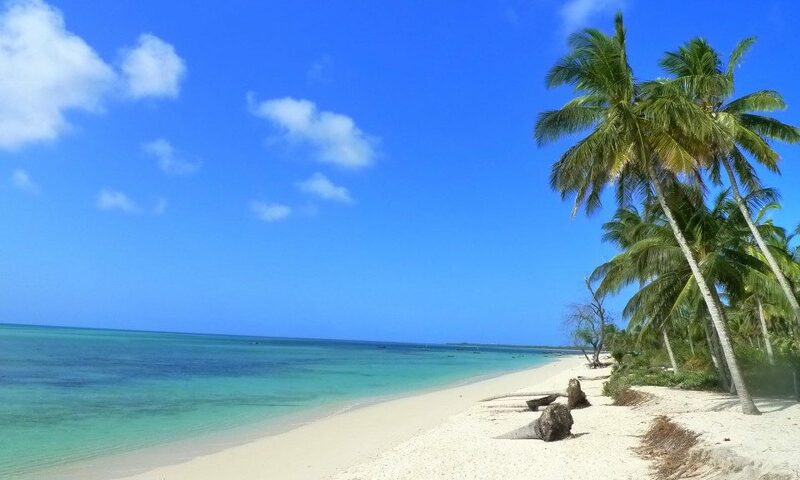 Coco beach is a popular hangout spot for a perfect weekend getaway. The beach is fraught with coconut stands and food stalls with enthusiastic vendors eager to sell their products. Loud music blasts away in the open area and it is always a party at the Coco beach with the beach teeming with people swimming, surfing and generally hanging out. The lively oceanfront is also known as ‘Oyster Bay’ owing to the presence of oysters and much beautiful seaside fauna. ‍Bagamoyo is an ancient east African trade port popular to Asian and Persian merchants. The town is located about 60km from Dar es Salaam. 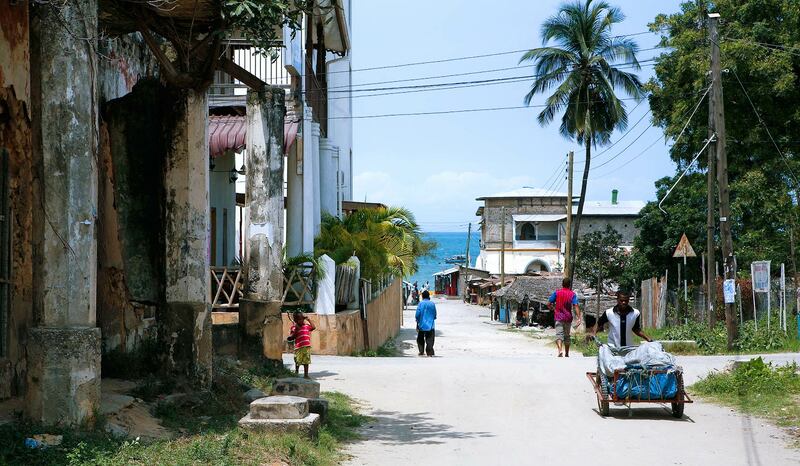 You can take a day trip to Bagamoyo to experience the beauty of the town and everything it offers. Known for its robust spice trade, it was the center of trade for many ancient empires dwelling around the Indian Ocean area. The influence of the Arabs and Indians is enormous and has played a major role in shaping the rich Swahili culture in the area. It is a center of many historic relics, and you’ll be delighted to explore the enlightening sights of ancient ruins and old religious worship centers. You should also look out for the Chuo Cha Sanaa – Bagamoyo College of Arts. 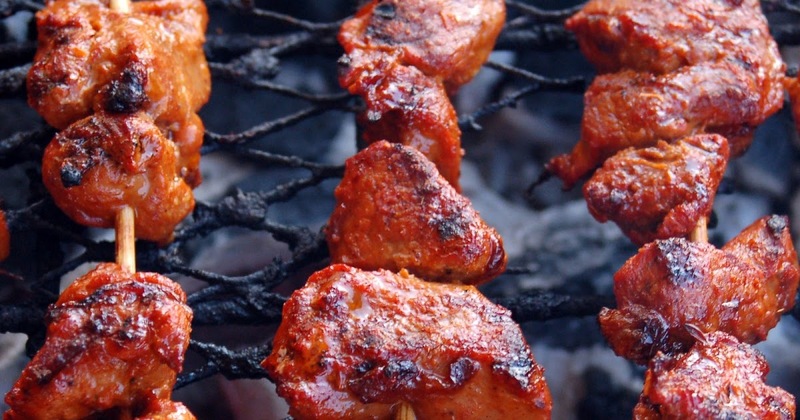 ‍This Tanzanian version of skewered meat is one of the street delights of Dar es Salaam. Usually available as beef or chicken, this tasty food is marinated in local spices and sometimes tomato sauce which gives it a mouth hugging flavor; it is cooked on a bed of hot coal and served with hot chili and lime juice, Ulalala! The local vendors really know to do it well and it is just a delight watching them do their craft. You will love it! ‍The Tinga-Tinga is a famous Tanzanian art style and painting. It is very colorful and beautiful in equal measure. A visit to the art center is like visiting a rainbow house with beautiful colors and designs of arts. You’ll be confused about what to choose and buy. ‍A visit to Dar would not be complete without some retail treatment and the best place to start is the Slipway Shopping Centre, a waterfront shopping mall. The shopping center has a wide range of swanky boutiques, waterfront restaurants, craft market and entertainment opportunities for children. You can even take a break from shopping to enjoy the beautiful views of the sea. ‍There are several other sensational shopping opportunities around the city such as Quality Centre Mall, Mkuku House, Mwenge Carvers’ Market, Oyster Bay Shopping Centre, Sea Cliff Village Mnazi Moja Textile Vendors. You can shop at Oyster Bay Shopping Centre, popular for its department stores and brands. The Msasani Peninsula offers several places you can explore for African arts and crafts. One of the busiest zones in Dar es Salaam is the famous Kariakoo market. This is the go-to place for souvenirs and all sorts of items you may need to buy. The market is located at the city center and it’s easily accessible. ‍Anyone looking for original Tanzanian art and carvings will find the Mwenge wood carver’s village exciting and engaging. The artists here are also sellers and will also provide custom-made art for anyone who desires it. 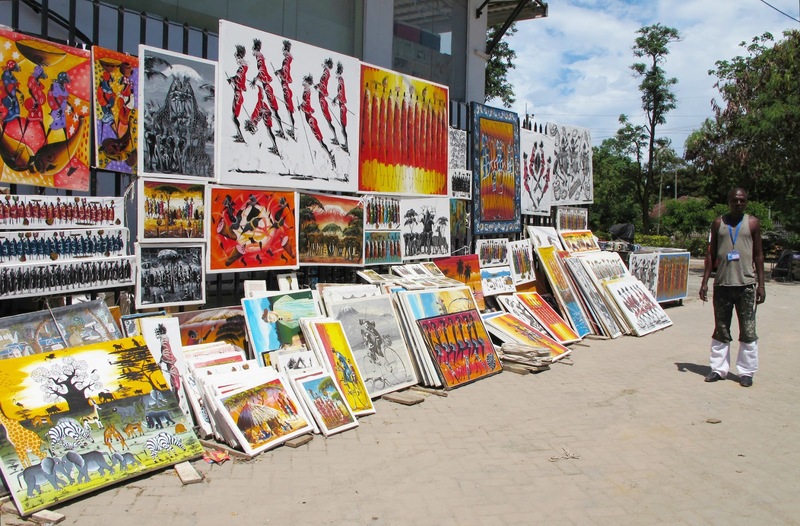 The entire Mwenge area is about the exhibition and promotion of Tanzanian art. With some good bargains, anyone going shopping at the village will get good deals from the local artisans. 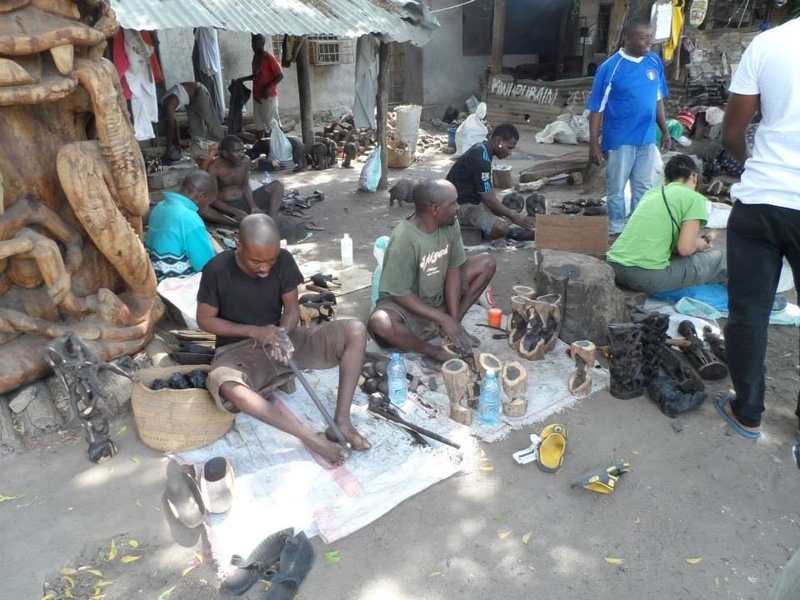 The Mwenge carver’s village is a really exciting experience and a happy buying ground for arts and crafts. 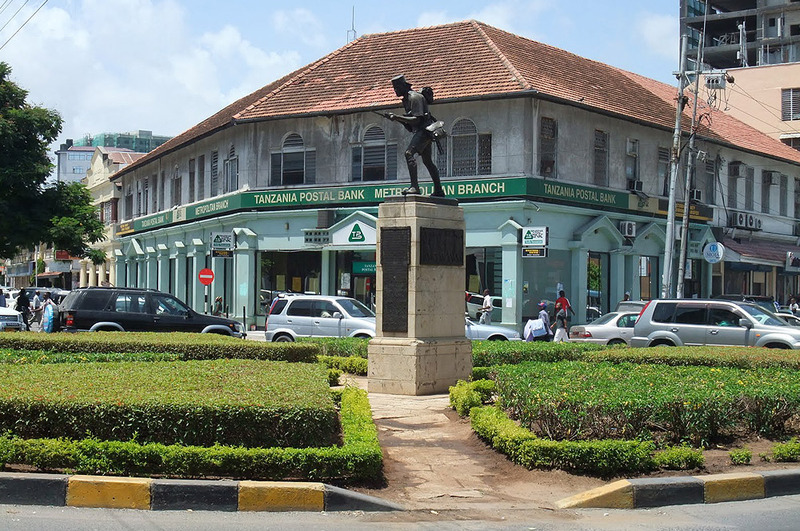 ‍One of the most iconic pieces of art and history in Dar es Salaam is the Askari monument. It’s a bronze statue that represents the Tanzanian soldiers who fought for the British in World War I. The monument embodies the significance of Tanzanian influence in global affairs. The statue is located at the centre of the city, and it adds an interesting twist to an already rich history. ‍Built by the German missionaries in the late 19th century, this statuesque edifice was once the centre of the German mission in East Africa. Still retaining its 19th-century architecture, it is a starting point for understanding the nature and system of the German occupation of East Africa. Tour guides are usually available to show you around and they do this with the utmost fanfare and enthusiasm. There is a garden within the cathedral for weary tourists to catch their breath and also there are canopies on the rooftop to provide shade. ‍This is located at the Pugu Hills near the Kazimzumbwi Forest Reserve. The whole area is spotted with endemic species of plants and animals. Along with the Kazimzumbwi forest, the Pugu Forest area is known to be the oldest forest in the world. It is the source of one of the rivers flowing into the Indian Ocean and has a picturesque hilly view. It is an exotic destination to experience the fauna and flora of the city. ‍The rush of sea waves and the rustling of palm trees add to the delightful ambience of one of Dar es Salaam’s favourite spots. You can enjoy an absolutely awesome ferry ride at an affordable price. If you prefer to lie on the beach and admire the scenic surroundings, you can hire a Banda thatch-covered hut for the day. You can also spend your weekend at the South Beach Resort Hotel to relax and unwind. 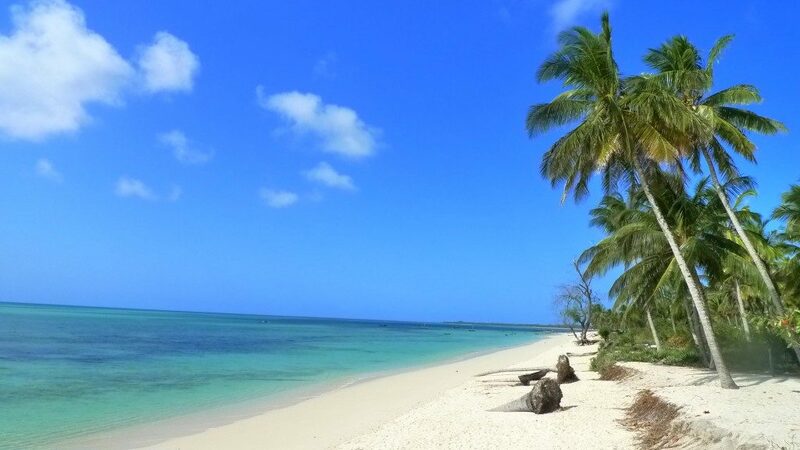 ‍Although Bongoyo Island is not located in Dar es Salaam, it’s an uninhabited island located about 2.5km north of the city – just 30 minutes drive from the city. The island features picturesque miles of shoreline and a range of activities in the warm tropical Indian Ocean including snorkelling. You can indulge in a romantic beach dining or just lazy around the island all day. Though the island is now a marine reserve, much has not changed and the annual visit to the island has surged in the recent times. 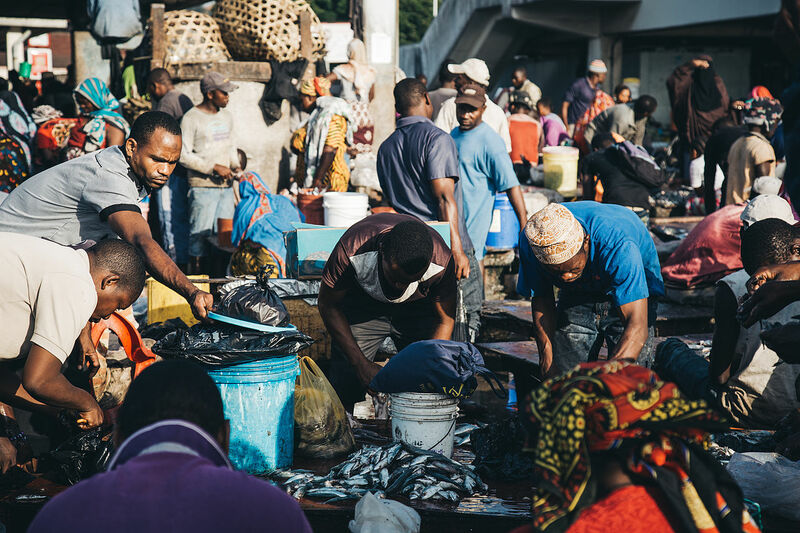 ‍The coasts of Dar es Salaam are home to an exotic range of fishes thereby making the city a haven for seafood. From Prawns to Octopus, getting seafood at the market is an unforgettable experience. The best part of visit this place is that you can handpick your favourite seafood and also wait for them to be perfectly prepared. 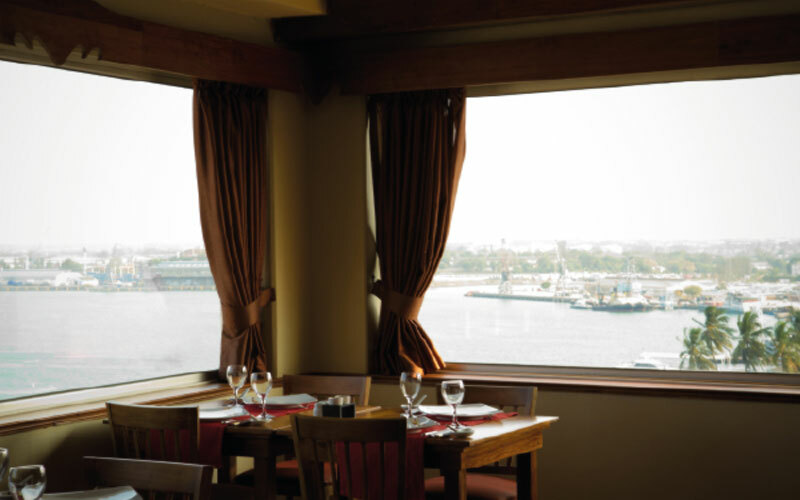 ‍The attraction of Sawasdee restaurant is not just the delicious Thai food on offer but also the chance to get a panoramic view of downtown Dar es Salaam and the harbour area. The view from the restaurant is breath-taking and just blissful as tourists get to experience every facet of the city first hand. 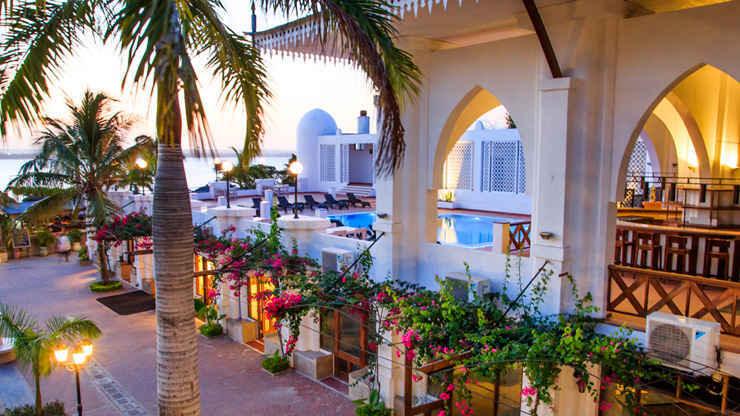 The restaurant is situated in New Africa Hotel, just a few minutes from the Zanzibar ferry – a great place to stay during your visit to Dar. 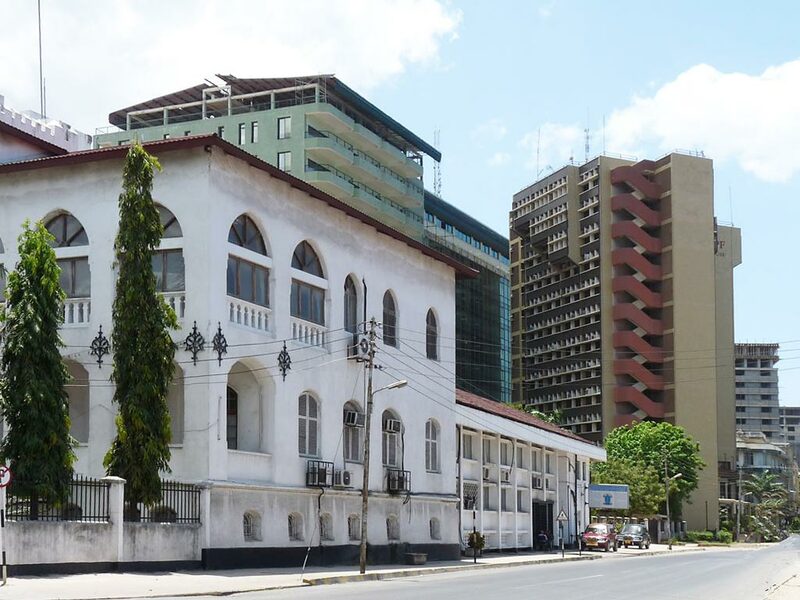 ‍Built in 1867 by Majid Bin Said (the first Sultan of Zanzibar), this is the oldest surviving building in Dar es Salaam. The building materials are all local and showcase the traditional building style of Tanzania. Explore the Old Boma and learn more about the history of the building. ‍The incredibly delicious roast meat of Tanzania is a real treat to any visitor. 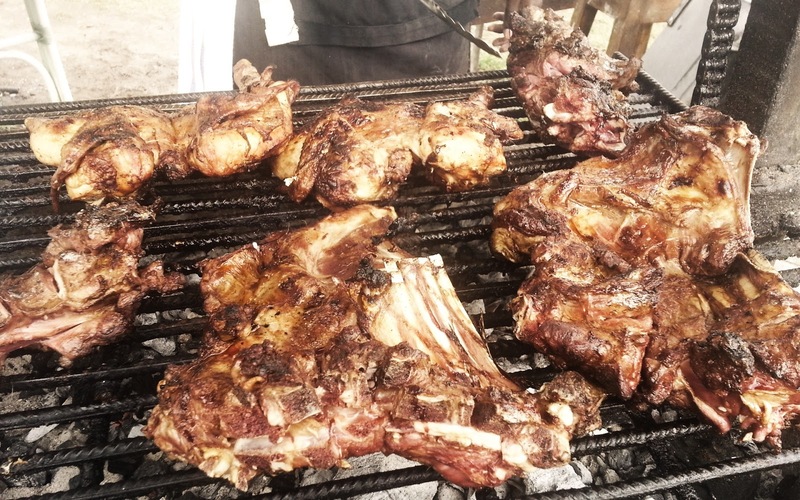 You can get some delicious Nyama from the local restaurants in the city. The tasty Swahili delicacy is usually served with red chilli, tomato and sometimes onion to garnish. 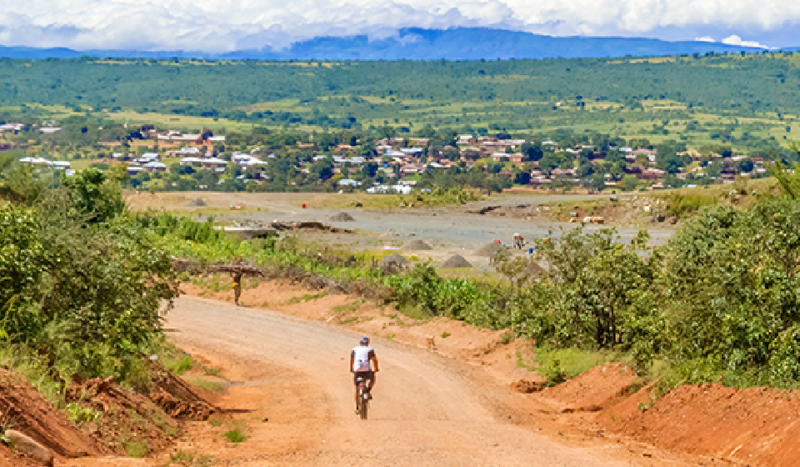 ‍This is the best place to learn about the history and people of Tanzania. 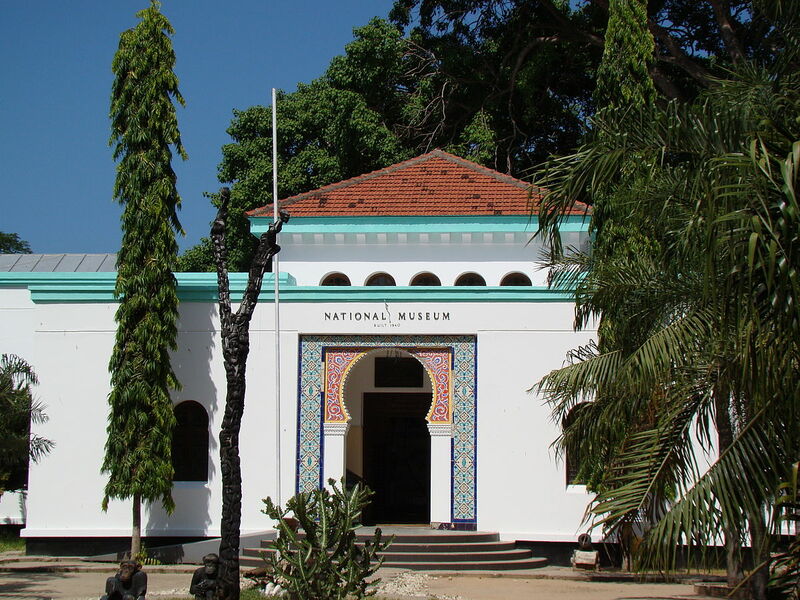 It is stocked with a wide range of artefacts and relic from various eras of Tanzanian development and history. There’s nothing as amazing as learning about the history and culture of a beautiful country like Tanzania. ‍Zanzibari mix is a popular street food in Dar es Salaam. 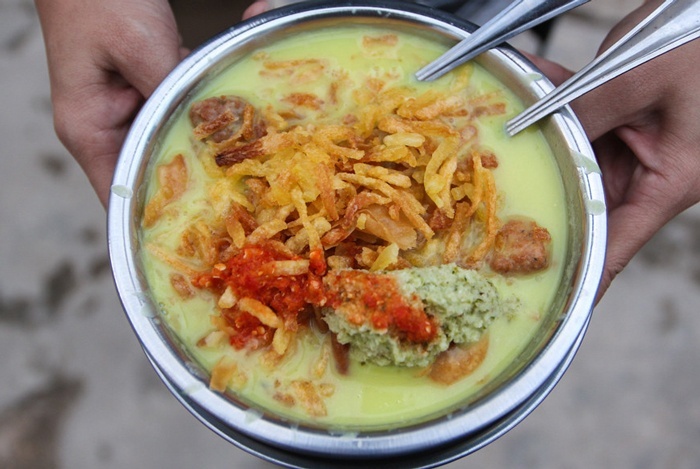 This is a comforting combination of deep fried fritters in a coconut milk curry and garnished with fresh chutneys and chilli sauce. You should visit Mama Mumtaz in Kariakoo – downtown Dar es Salaam for a taste of Zanzibari Mix.